Women empowerment is a recent phenomenon in Bhutan. And unfortunately, many of us today have narrowed it down to having more women contest elections. Although it is true that empowered women are more likely to take part in the elections, empowering women is more than that. Because elections can have only so much women; at the most, we are talking about 72 women getting elected as members of the parliaments, 205 gups, mangmi and some 1,000 plus women tshogpas. But what about the others, who are not part of the process? It is important that we invest in educating our women and girls. Our NGO, READ Bhutan, believes education is the most critical component of women empowerment. So, all our efforts are targeted at providing opportunities for women to learn and educate them on all spheres of life. Possessing literacy skills is another element especially if someone is contesting elections in Bhutan. In Bhutan, aspiring candidates have to pass Functional Literacy Tests (FLT) to stand as candidates for local government elections. Therefore, it is important that we provide literacy training for women who have not had the opportunities to go to school earlier. That way they will not only pass FLTs but also do well once they are elected. Contesting in elections requires confident candidates with good public speaking skills. So, we need to groom and nurture aspiring women candidates. We must organize regular confidence building workshops and conferences. 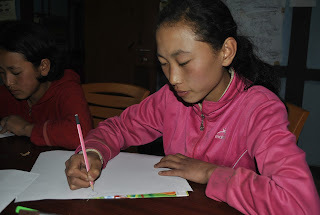 READ Bhutan conducts confidence building and public speaking workshops for our women and girls in rural areas and the impact is there to see, especially with those who have undergone these programs. Girls, because we believe empowerment must happen early on and need not have to wait until they are women! We also conduct awareness programs on gender and how some cultural norms are detrimental when it comes to women's active participation in civic life. Leadership program is another regular program that we conduct both for young girls and boys. In this regard, we must acknowledge and convey our gratitude to BNEW for its excellent initiative of providing women with this important skill during the recent LG elections. We need more organizations to do this. Again, an empowered woman does not necessarily have to take part in elections. She may run successful businesses and do well in her life. Being economically empowered is also equally important!